When Travis and I first announced “Project Pink Day” – we were met with some interesting questions. One of these was, “why the color pink – is everything ok?” Some thought that maybe there was a connection to cancer given that October is famously connected to the color pink and Breast Cancer Awareness. We’d reassure the person asking the question – that we are fine and that the reason for the name Project Pink Day is because our daughter, Zoe, associated the pink Saturdays on the calendar with the days that mommy and daddy could stay home with her. Now that we think about it, maybe there was a subconcsious connection being made to the color pink and what we are doing this year. We’ve been told by friends, family, and even strangers that so many people think about taking time away from work, but they never actually know anyone who has done it. Years ago, Travis and I were in that boat too – we’d fantasize, write bucket lists, share our dreams – yet there were always too many other priorities that stood in our way of realizing the big dream. It wasn’t until we both lost one of my best friends in the world on October 5, 2011, Alison (Al) Foerster, to cancer, that we were smacked in the face with the reality that you may not have a tomorrow. She battled like hell for 10 months – with her courageous and loving family by her side; her husband Corey and daughters Elly and Hannah. Al never stopped fighting. We will never stop missing her – she was simply awesome. Al had the best sense of humor, the best hugs (she said she would never be the first to let go of a hug) and a cackle laugh that would make everyone laugh more. Sadly, it was losing Al that put life into perspective for us and was a catalyst in making the decision to embark on Project Pink Day. Another influence on our decision to take a year off was our good friends Helen and Mark. They retired early a couple years ago to travel and enjoy life together. They are so much fun and just visited us in Breck for Oktoberfest. They are also the ones we rented the condo from during our time in Ft. Myers Beach. We didn’t need another reminder that taking this year off to be with our kids and live our dreams was the right thing to do – but we got one anyway. In a tragic turn, Mark developed acute leukemia and passed away only a few days after his diagnosis on September 21, 2015. It has been difficult for us to comprehend how someone like Mark can be taken so quickly. Mark was an Ironman, triatholon and marathon athlete; a guy that made everyone feel important and loved; a guy who loved his wife, his life and prioritized experiences over stuff. Our kids adored him. We miss him and our hearts are with Helen these days. Although we are honoring our friends Alison and Mark in this post, that is just the beginning. I think we can do more than write about them in a tribute, so Travis and I will think about how we can honor them by giving back in another way the second half of our pink day year. We’ll keep you posted on what we come up with. I lost my grandmother Lola to cancer. She was one of the kindest (and toughest) women I’ve ever known and beat cancer multiple times. But, finally at age 89 she could no longer fight. Her story is an encouraging one that you can live with cancer and even beat it. Miss you Grandma! 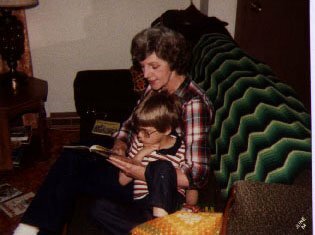 One of my first memories of loss was when a babysitter of mine, Jane, lost her battle with cancer. 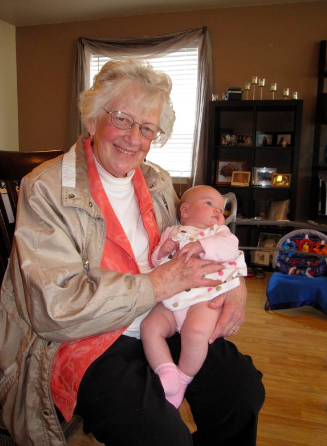 Jane was like another grandmother to me and she was one of the most caring, loving people I’ve had in my life. Zoe Jane was named after this incredible woman. I think about her often and will always miss her. My grandparents, Earl and Marian Puls passed away from cancer. They followed their dream after retirement and moved away from their hometown to their favorite place – their cottage in Eagle River, WI. My family now partially owns that cottage and vacations there – keeping the dream of “up north” life alive. We know we have family and friends that have beat cancer (yeah! ), are in the middle of the battle (stay strong! ), and have also lost other loved ones to it. We dedicate this post to you too and send our love your way.